Rumor mill: Apple could be getting ready to announce a seventh-generation iPod touch, and at least four new iterations of its iPad. Code within iOS 12.2 refers to four nonexistent (for now) iPad models and a new iPod. None have Face ID and the iPod lacks Touch ID as well, which is consistent with Apple's entry-level devices. 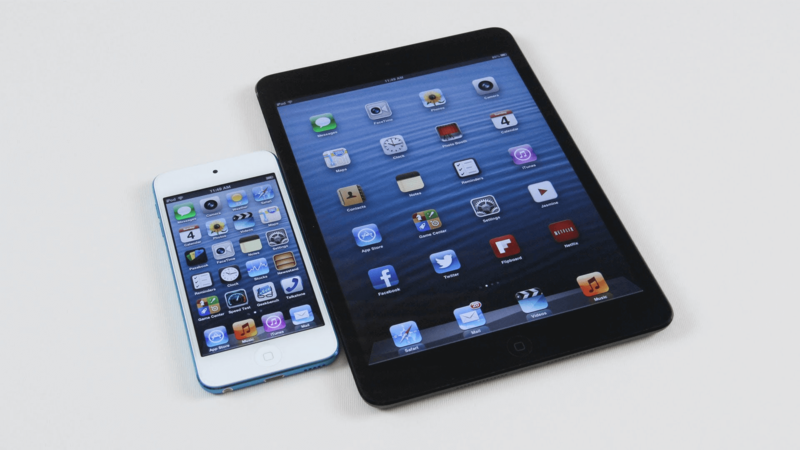 On Friday, MacRumors reported that Apple had registered seven new iPad models with the Eurasian Economic Commission. Registration is required for all encrypted devices sold in Armenia, Belarus, Kazakhstan, Kyrgyzstan, and Russia. The rumors were somewhat substantiated by independent developer Steven Troughton-Smith. Smith tweeted that he had found reference to four unannounced iPad models and one new iPod Touch within the code while he was data mining iOS 12.2. The iPads were numbered 11,1 to 11,4 with two being WiFi and the other two cellular units. He speculates the reference numbers may be for possible upcoming iPad minis since they don't seem to be Face ID enabled. Additionally, Smith discovered a reference to iPod 9,1. Since the current (sixth-generation) iPod touch is designated 7,1 in iOS, this new reference could indicate Apple has a new iPod in the works as well. The code also reveals that the new iPod will not come with Face ID or Touch ID, which is in line with current design. Rumors of a new iPad mini 5 and a lower-cost iPad 10-inch have already been circulating in the rumor mill since late in 2018 and are expected to land this year. The four listed models in iOS 12.2 could refer to WiFi and cellular versions of each type of upcoming iPad. Apple has not commented on the report nor has it announced any new models in those product lineups, so take the news with a dose of skepticism until we hear something official.